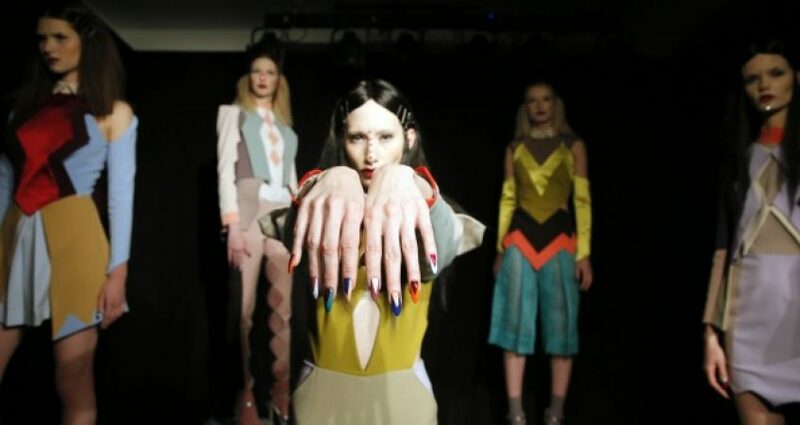 The famous fashion designer Ana Ljubinkovic exclusively presented her new fall/winter 2016/17 collection at the event in UK Parobrod, and her creations got final “glow” thanks to the new line of Avon Gel Shine nail enamels. Ana is well-known for combining what can’t be combined, playing with colors, shapes and textures. New Avon Gel Shine nail enamels make it simple to bring her unique style in your everyday styling. And it can all be done at home, since Avon Gel shine nail enamels give effect of gel and professional manicure, without any use of UV lamps, and they can be removed just like regular nail enamels. The new formula with Omega oils protects nails making them smooth, with more glow and intensive color with just one layer of nail enamel. Intensive colors characterize creations of Ana Ljubinkovic, which are at the same time funny and elegant, inspiring memories and entertaining intelligence. Ana has specific way of moving through collections: always keeping a half of already conquered and adding a half of something new, never seen before. This is why her models are always so familiar, but at the same time new. This time her heroines from comics and fairytales found their way around Pirot in fall, getting fall colors and zig-zag pattern from famous carpets. This interesting design from materials was mapped to nails, by which Avon, as an official make-up partner of Ana Ljubinkovic, once again emphasized an unbreakable bond between cosmetics and fashion.